Andreas Vogelsang is a professor for automotive software engineering at the Berlin Institute of Technology (TU Berlin). He is also a research director at the Daimler Center for Automotive IT Innovations. His research interests comprise model-based requirements engineering, requirements specification quality, and software architectures for software-intensive systems. 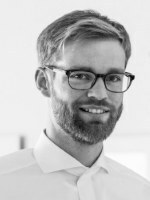 He received the Kamm-Jante-Medal for his doctoral thesis about “Model-based Requirements Engineering for Multifunctional Systems”. He has published over 20 publications in international journals, conferences, and workshops including ICSE, RE, and REFSQ. Additionally, he participated in several research collaborations with industrial partners especially from the automotive domain. Most of the research collaborations focused on how to create high-quality requirements artifacts and how to improve the RE process.